Recent changes to Province of Saskatchewan Education Act legislation have resulted in the elimination of the requirement of Boards of Education to hold a annual meeting of electors. 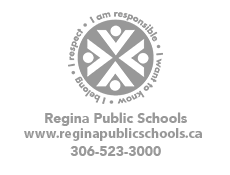 The Regina Board of Education believes that it is important to continue to provide its communities with opportunities to learn about and discuss public education issues that are important to them. The Regina Board of Education will be, therefore, hosting a Community Engagement Forum on January 30th at École Harbour Landing School at 7:00 p.m. Mark your calendars! Stay tuned for more details about the event! Tuesday, Dec 19th - "PJ Day"
Have fun and show your school spirit! We invite you to join us for our annual winter evening of theatre and song...also known as our Christmas Concert! This year's event will include musical performances by Kindergarten to grade 4/5 students, as well as a "Pawson Players" drama production involving students from Grade 5 to 8, under the direction of Arts Education Teacher Mrs. Lelliott. The Pawson Players would appreciate your support with their silver collection at the door. Our school respects the copyright law that protects companies that publish books and produce movies, music recordings and plays. Our Pawson drama troupe has legally purchased the scripts for use in this production, and appreciates your help in offsetting the costs for these scripts and other associated drama production costs. Parents and family may take pictures and/or video of their family for private and personal use only. To not distract students, please refrain from the use of flash photography during performances. For the safety and privacy of all our students, if you choose to share images or videos on social media, please be respectful of other families, as they may not wish their children’s images to be shared. Thank you also, for supporting our Pawson School Community Council (SCC) in this year's 50/50 draw, lottery license #SR17-2627. Tickets will be sold prior to the evening performance. 50% of the ticket revenue brought in goes to the winning ticket holder, and 50% goes to the SCC for projects supporting Ruth Pawson School students. Ticket prices are 3/$5 or 10/$10. The winning number will be announced at the end of the evening's performance.